Do you want eyes below the surface? We are making revolutionary Blueye ocean drones ready for diving in 2017. 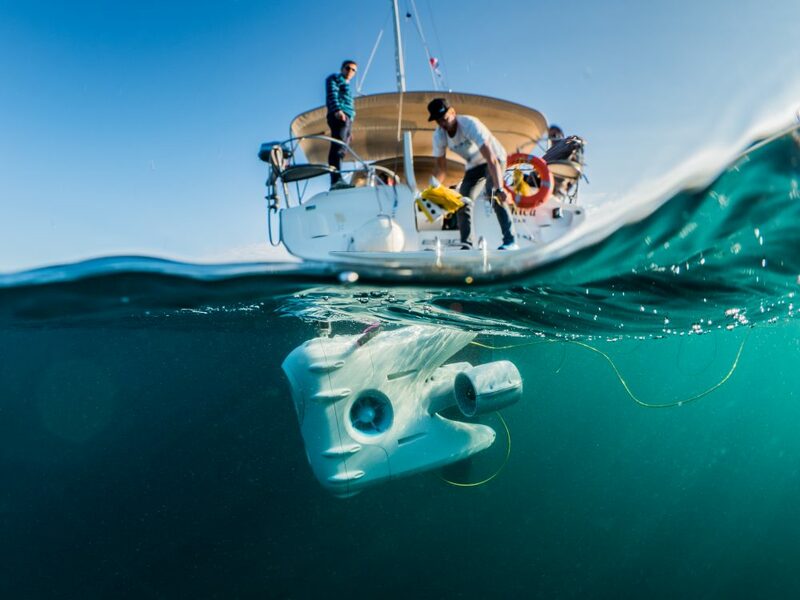 Born and developed in Norway, famous for its rough coastline and world-leading subsea expertise, Blueye is a company committed to make ocean drones that combines professional performance with the simplicity and experience of everyday consumer products. The ocean covers about 70% of the Earth’s surface and provides resources such as food, medicines, energy and important transport routes – not to mention half of the oxygen we breathe. Still we know less about the ocean floor than we know about the surface on Mars. We believe it is a question about lack of access and tools. And that’s why we in 2015 set out on a journey to make it easier for everyone to record and share what is hidden below the surface. Whether you are a professional fish farmer, passionate diver, engaged environmentalist, or eager to learn and discover more of the last wilderness on Earth, Blueye makes it easy to share video and images of your underwater adventures, or store data for documentation of intriguing findings for mapping or monitoring. Please note, this is a beta version, still under development. Copyright © 2016 By Nature.